An extra world of learning is opening up at Rocks Park Primary School in Uckfield – one that embraces its beautiful woodland setting. Friday, for example, was stick day where lessons revolved around collecting sticks to make things, form letters and count. 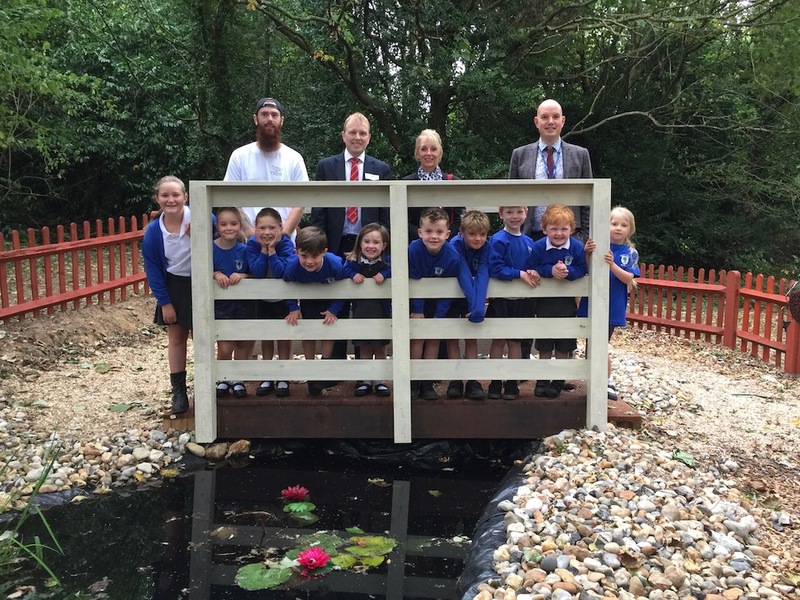 Testing the new bridge over a restored pond at Rocks Park Primary School, Uckfield, are children who helped with the project, Will Hunt who led it, grant providers SLM Toyota Uckfield general manager Paul Hardwell and marketing manager Mel Ball, and headteacher Andy Best. For reception class children there’s Welly Wednesday and this week they raced around the school field collecting buckets of conkers, examining their spikey cases and showing off the spoils to head teacher Andrew Best who happened to be passing with visitors. Those visitors included Paul Hardwell and Mel Ball from SLM Toyota who have sourced funding to help the school make more of its surroundings. This summer a £1,750 grant from the Toyota Fund for a Better Tomorrow enabled refurbishment of a pond, and provided a new bridge over it for safe pond-dipping. Parent Will Hunt, helped by his wife Leah and other parents and children, has led the project. He has also overseen the creation of a mud kitchen, fantastic for messy play. Rocks Park Primary pupils and headteacher Andy Best in the new mud kitchen in the school grounds. Pond and kitchen are next to an outdoor classroom and The Copse where there’s a circle of log seats, ideal for story telling gatherings. 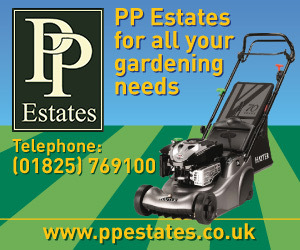 All are linked by paths, created thanks to Simon Noel of FNR Plant Hire, Isfield, who brought along digger and dumper to move the earth. His wife Rebecca Baden was one of the parents helping finish the paths with wood chips. From the pond you can see a trail of whiteboards which children use in lessons as they progress through neighbouring woodland. 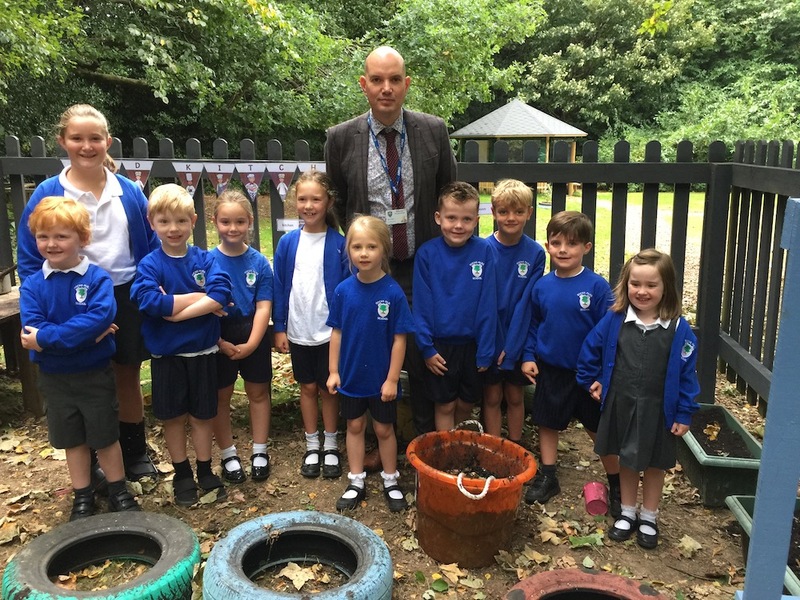 Head teacher Andy Best has more ambitious plans for the future and one of them is for the children to help grow fruit and vegetables all year round. Mel said she hoped SLM Toyota would be able to continue to be involved as the outdoor learning project at Rocks Park continues to unfold.